If you don’t want to drag your feet around the crowded (and in summer very hot) city, here’s a Walking Tour of Florence that can be done partially or completely in the comfort of an air conditioned minivan. We’ll spend the morning taking a leisurely walk/drive around the historical sites of Florence, with an expert commentary provided by the official guide, Maurizio Bellini. 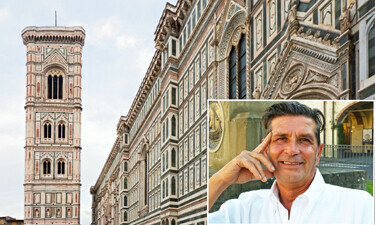 Maurizio was born and bred in Florence and has also done extensive studies in it’s history. He will give you a running commentary in each location, ranging from past to present. Then around mid day we set off to the Tuscan countryside for an afternoon enjoying the iconic Tuscan scenery and wine tasting. 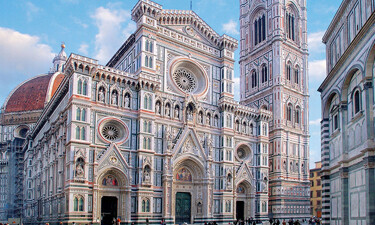 Our walking tour of Florence begins around 09:15 AM. The first part of the morning will touch the famous sites on the south bank of the river including the magnificent view over the city from Piazzale Michelangelo, then we continue to the “common man’s” side of town known as Oltrarno. 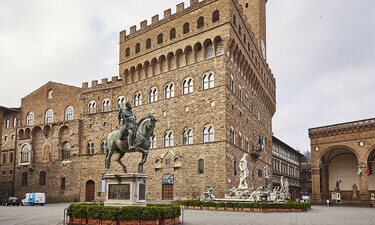 Here we’ll see Porta Romana which is the imposing 700 year gate to the city, and the Pitti Palace, once the residence of the ancient ruling families. Close to the Palace is the world famous Ponte Vecchio (old bridge) once a bustling butcher’s street and now adorned with jewelry stores. Maurizio will explain how this came about. Then late morning we cross over to the north bank and drive by the churches of Santa Croce, Santa Maria Novella, and The Duomo, with it’s amazing cupola and bell tower. The north bank has always been the “opulent” side of town where luxurious ancient palaces are located, and today many are high end designer stores and museums. We close our tour of Florence in Piazza della Repubblica where you may like to have a coffee in one of the famous cafes. 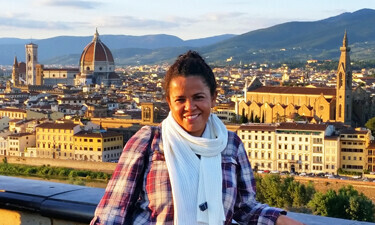 Our Walking tour of Florence ends here, but the day is far from over. 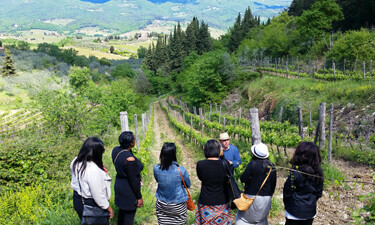 At approximately mid day we head for the Tuscan countryside to enjoy our afternoon of scenery and wine tasting. The first stop will be for lunch (not included in fee), and Maurizio will suggest a good but reasonably priced restaurant. After lunch we’ll have time for a photo or two as we drive leisurely around the Tuscan landscapes. A splendid contrast to the city tour of the morning. Last but certainly not least, we’ll savor a sit down wine tasting at one of the best wineries from my Wine lover’s Tour. 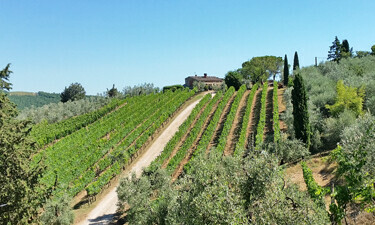 You will taste Chianti, Chianti Reserve and Super Tuscan wines.